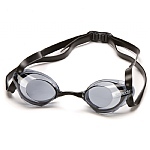 Protect Your Eyes in the Pool with Premium Swim Goggles! 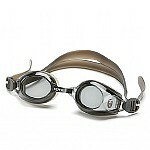 Make the most of your time in the water with a premium pair of Swim Goggles from Swimmers.co.uk! Whether you’re training at your home pool or competing, our goggles keep your vision clear and help you perform your best. Get Your Premium Swim Goggles Now! 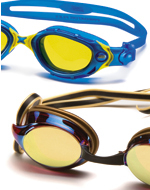 See Clearly with the Best Swim Goggles in the Industry! 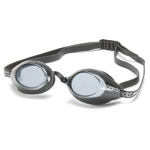 Choose a pair of premium swim goggles from our catalog to satisfy your exact needs. 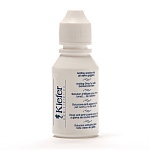 We sell a wide variety of adult goggles for both men and women in addition to eye protection for children. If you have special needs, check out our senior goggles for the mature swimmer and our prescription goggles for swimmers with poor vision. Swimmers.co.uk sells all-purpose swim goggles in addition to goggles made specifically for competition, training or recreation. Our products feature both classic styles and modern designs that take full advantage of the latest technology like Fogbuster lenses, Speedfit adjustment systems and Biofuse frames. With a wide choice of one-piece and fully adjustable frames, our catalog has the perfect eye protection for any need. For quality and performance that you can rely on, we have selected the top products from the leading brands in the swim industry. As you browse our online catalog, you’ll spot premium names like Speedo, Aqua Sphere and Zoggs priced to fit any budget. To ensure your complete satisfaction, every pair of Swim Goggles in our catalog has been thoroughly tested for quality, performance and fit by our team of swim experts. We guarantee you’ll be 100% satisfied with your new eye protection from Swimmers.co.uk! 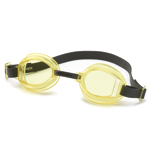 Protect Your Precious Eyesight with a Perfectly Fitting Pair of Swim Goggles! Get Yours Now!